A collection of clay models . This is my son Prajwal C.P. 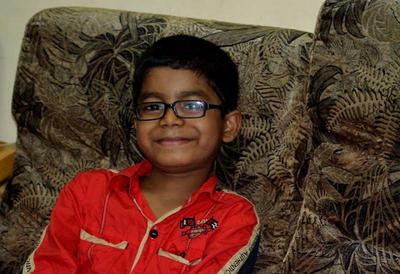 He is 7 years old, studying in II STD . He started showing his talent at early age. When he was 2 years old I used to make wheat flour dough for bread ( chapathi ) and gave him the flour in shapes of elephants to get him engaged. He became very angry and cried for a long time if the flour didn't have a good shape or when he saw the parts detached. He would asked me to make it again and again . When I neglected him, he started making some shapes by himself. He often asked us to visit the zoo to observe the animals. So we visited Sharjah Wild Life center for several times on his request. After every visit, we noticed that he drew and colored the animals with details and perfect color combination. And then he would take the clay to make animal sculptures. We bought him a packet of clay at the age of 3. 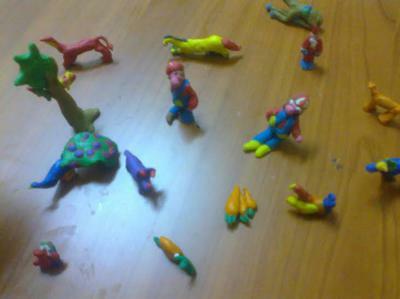 We could not believe our eyes that he had made and kept a collection of animals on the table. His KG teacher (Kavitha Nair) identified his talent and she presented a collection of about 20 pieces of clay models to the Principal (Srivalsan Murugan) and the Supervisor (Mrs Joscelyn). The Principal Sir didn't believe that those shapes were made by him so his teacher gave him a new packet of clay. He then made a horse with jockey in his presence. Since then he has made many types of animals with clay. But he is very much interested in making dinosaurs. He has made about 50 varieties of dinosaurs by now. 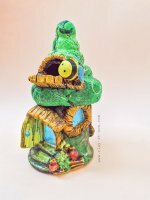 Comments for A collection of clay models . An intelligent way of conveying your point, a must read I suggest everyone to read this. Usually I do not read everything on internet but you are an exceptional always read your blog. Wow...you are very talented Prajwal. You have crafted beautiful clay models on your own since very young. Thank you for sharing your story and pictures in Clayitnow website. 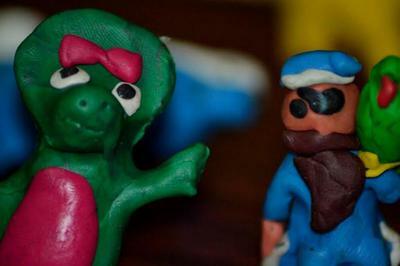 Keep creating and share your clay models with us.